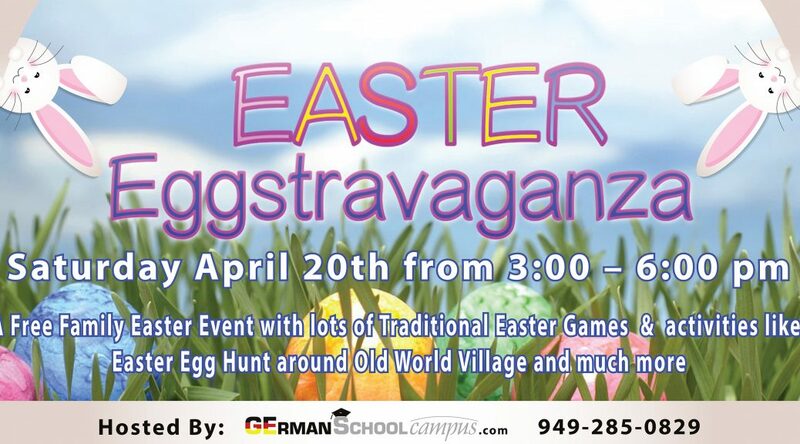 A Free Family Event with lots of activities hosted by German School campus in Old World Village, Huntington Beach. Traditional Easter Egg Hunt in the village, Egg race, Egg coloring and many crafts table organized by the teachers of German School, many games and lots of fun for everyone. Get a picture at the Silly Photo Booth, have your face painted and carry home many treats for Eastern.